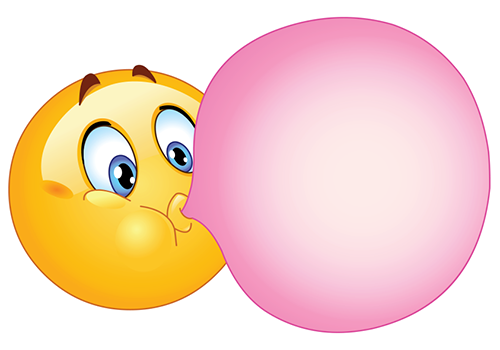 Everyone loves bubblegum, and they will love this chat smiley too! 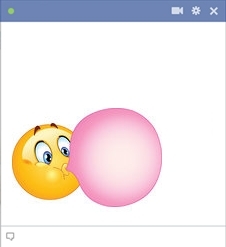 This cute smiley is chewing its way to some sweet messaging on Facebook. Tell your friends you’re bored and feel like hanging out using this smiley. Let them know you’re popping bubbles and ready to take a walk, hit the gym, or go out for a night on the town. 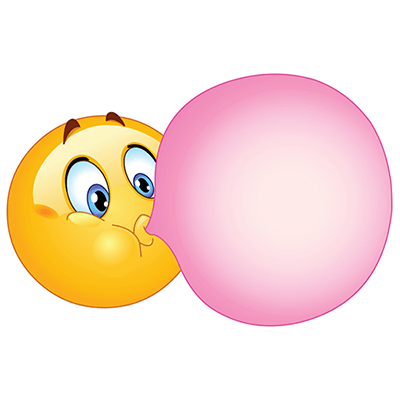 This adorable emoticon will brighten up any FB message or timeline with its snappy pink bubble and you’ll find it fun to use it again and again!